Preparing for a book signing? Here’s what I did. In my last post I told you about my great adventure to my local independent bookstore. While there, I was offered the opportunity to sell my books during Rhubarb days this weekend. I’m really excited and have been preparing for weeks. Now that the event is here and I’m as prepared as I’m going to get, I want to share what I did to get ready. First, I invited a friend and local author who I know has experience selling at events. Chris Bailey, author of <a href="https://www.amazon.com/gp/product/0989973417/ref=as_li_tl?ie=UTF8&camp=1789&creative=9325&creativeASIN=0989973417&linkCode=as2&tag=experiencew03-20&linkId=922fa1eed4feb46266c21fc8ded629f2" target="_blank" rel="noopener">The Crystal Key (Starjumper Legacy, Book 1) and the Starjumper Legacy series, Without Chance and Whisper has done many local events including Oddmall and Sumner's A Victorian Country Christmas, so I knew he could show me the ropes. 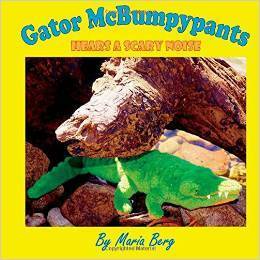 Also, his daughter is Gator McBumpypants's biggest fan and I've enjoyed his books, so we can cross-sell and talk each other up. It's important to know exactly what will be provided by your host and what you are expected to bring. After Chris okayed things with A Good Book he said all we need to bring is a way to take payment and our books. The store is supplying the tables and chairs. Make sure you have enough books and they are exactly how you want them. I asked Chris for advice on this as well and ordered more books than I would have otherwise. I thought I would sell the first book the most. His experience was that if you sell the whole set at a discount, you are more likely to sell the whole set. Since I was planning on selling the whole set at a discount already, I ordered only a few extra of the first book, and more of the rest than I had originally imagined. 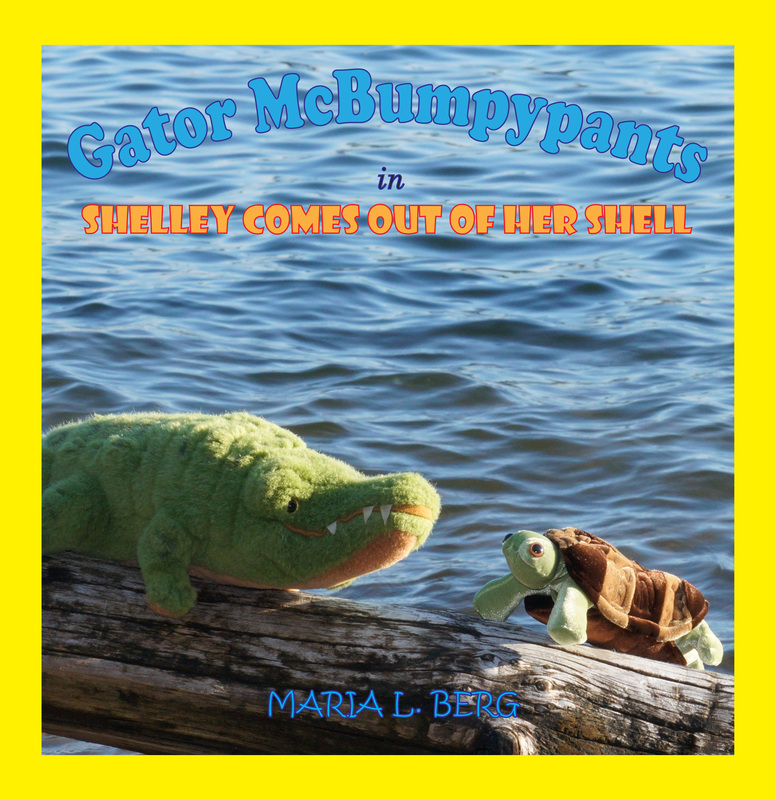 I also used this re-order to review the books and update them to include online information about the other books and Gator McBumpypants website and facebook on the last page. Because I use Create Space to make my books, I can make these changes for free and it only takes a couple days. The books I ordered arrived a week before expected. Email sign-up sheets - I printed sheets with a table with three columns for name, email, and comments. Everyone who signs up gets a copy of the first book in PDF form. I designed and printed bookmarks but I have seen other things like little pins or stickers. Get creative. This should be an opportunity to get some great pictures of people enjoying my books, so I'm going to bring photo-release forms in hopes that people will give me permission to use their images for publicity. Time to promote your sale! Now that you're ready. It's time to get people to come. Because this is a local event, I approached promotion a little differently. Facebook.com- I created my first event from Gator McBumpypants's Facebook page. All you have to do is click on Events on the left sidebar and then click Create an Event. Fill out the information, add a nice picture and invite your friends who live nearby. I also shared my event with some local writer pages I follow. Nextdoor.com- I participate in a neighborhood website on nextdoor.com. I was happy to see that I was also able to set up an event on this page. This is directed to my neighborhood and the close surrounding area, so I hope my event will reach the people most likely to go to Sumner Rhubarb Days. Blog - This post will go out to Twitter, Google+ and Tumbler. There you have it. The inside story of how I prepared for my book signing/ sale this weekend at Rhubarb Days in Sumner, WA. Anything I forgot? What would you do differently? Any fun book signing stories to tell? I would love to hear from you in the comments. If you are in the Pacific Northwest and are looking for some Free Family Fun this Sunday, July 16th, please come enjoy Rhubarb Days in Sumner. I'll be signing books in front of A Good Book Bookstore, 1014 Main Street from 11am to 4pm.